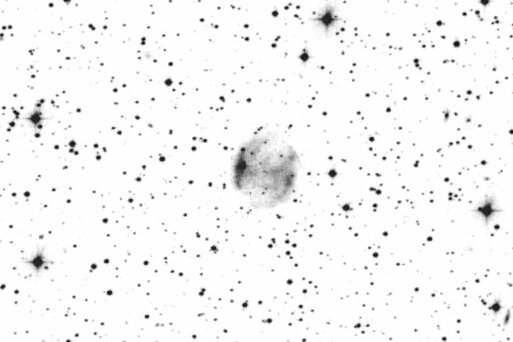 17.5: fairly faint at 79x using an OIII filter, slightly elongated, moderately large, estimate V = 13.5-13.8. Faintly visible unfiltered. At 222x two stars are superimposed; a faint star near the center (central star?) and one at the N edge. On line with two mag 14 stars 1' N and 2' N. Located 15' SE of mag 7.2 SAO 19386. 17.5: at 105x with 0III filter; very faint, moderately large, round, can just hold steadily with averted vision. Viewing unfiltered, the faint central star is visible surrounded by a small halo, estimate V = 15.0. Located 12' E of mag 7.6 SAO 33485. 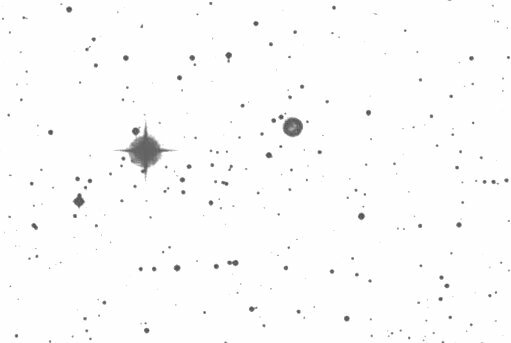 This object is a possibly an planetary or emission nebula. 17.5: at 118x with OIII filter; very faint, small, round, just visible with direct vision. 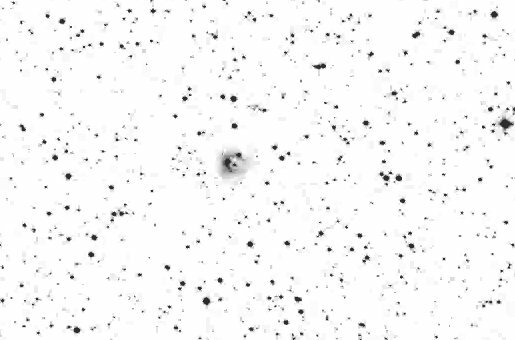 Removing the filter several faint stars are superimposed at the position of the planetary although Abell 79 was not visible. Located 3.2' W of a mag 10 star. 17.5: moderately bright, fairly small, almost round, slightly elongated E-W, 30" diameter. A faint double star mag 14/15 is at the NE edge. Located 3.8' WNW of mag 7 SAO 3785. No central star visible. Pretty planetary at 220x without filter. 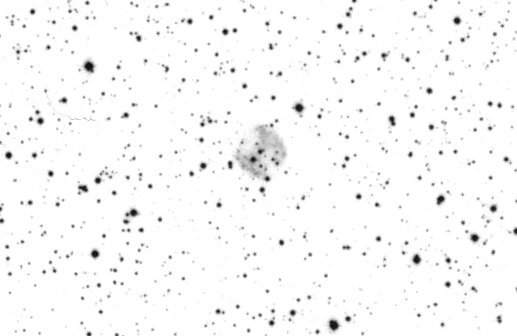 13: at 88x and OIII filter, fairly faint, fairly small, round. Located 4' W of a mag 7 star which detracts from viewing. At 166x with a UHC filter; easy to view, moderately large. Two very faint stars are involved near the NE edge. 13: not seen without filter at 79x. 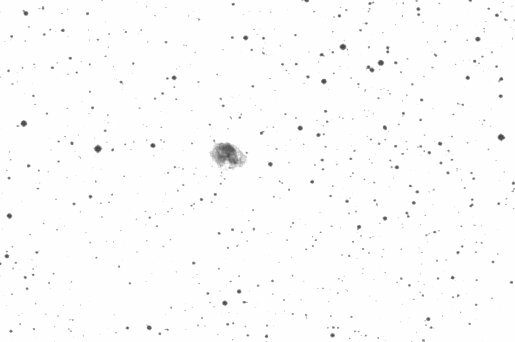 Using an OIII filter appears fairly faint, moderately large, round. A mag 11 star is 1.6' NW of center and a mag 13 star is at the E edge. Also viewed at 166x with UHC filter although appears best at low power. 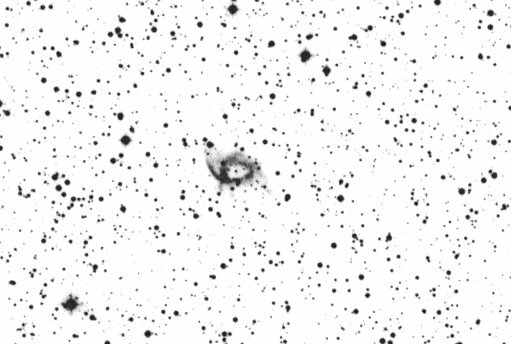 13: at 79x and OIII filter; fairly faint, fairly large oval elongated E-W with a star at the following edge. Located 13' NE of mag 7.5 SAO 35757.